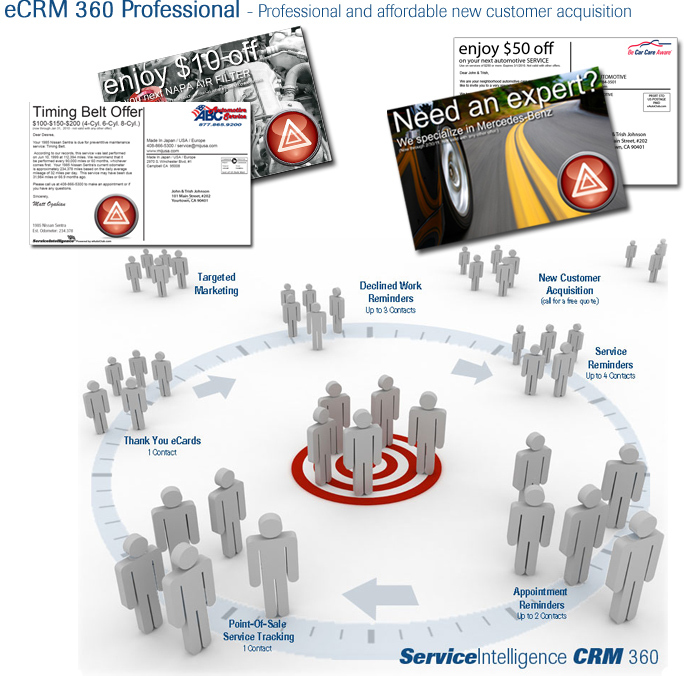 Are you looking to increase your existing customer base. We make finding owners of the spceific vehicles you service a breeze. Target owners of specific Year, Make, Model and proximity to your shop. Your customer will love the individual care and attention to detail because they will only be included in a campaign if they actually need the service. Each postcard is individually composed with your shop�s service history making it easy for your customers to make service purchasing decisions. 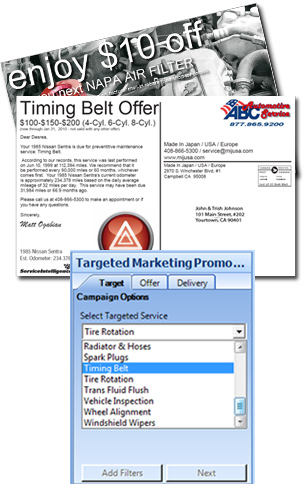 You can send Tartgeted Marketing Promotion postcards instantly from your shop computer system. No term contract required. Use your marketing budget effectively with ultra-accurate selective targeting. Find lost loyal customers that have not returned for 24 months or more, Make a special offer to a selected group. Your customer will love the individual care and attention to detail because they will only be included in a campaign if they actually need the service. Each postcard is individually composed with your shop's service history making it easy for your customers to make service purchasing decisions. Targeted maketing postcards can be professionally created and sent via a free desktop application. 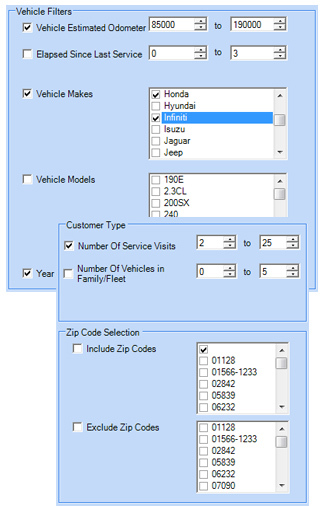 You can target any of 25 service types instantly, For example, if you want to design a Timing Belt campaign, you would want to limit postcard mailing to vehicle that have timing belts. 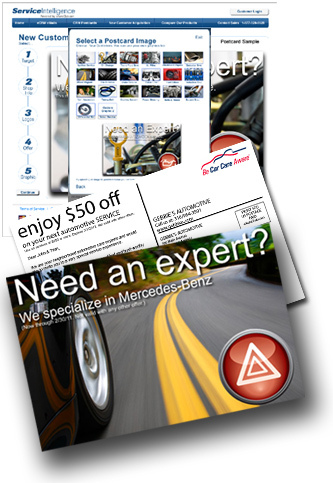 Increase customer ersponse with relevant service offers. Your image is the first impression in marketing. Make sure you deliver the imageyou want.